People hungry for food options in Waterbury Center have a new lunch spot to look forward to. The Woodstock Farmers' Market has taken over the Pete's Greens Farm Market at 2802 Waterbury Stowe Road. The site is closed for renovations, but when it reopens in mid-May, visitors can expect an expanded food-service program, Woodstock Farmers' Market minority owner and grocery manager Amelia Rappaport told Seven Days. "We're really known for our sandwiches and other prepared foods," she said. Woodstock Farmers' Market principal owner Patrick Crowl founded the market on Route 4 in West Woodstock in 1997; it's now located at 979 Woodstock Road in Woodstock proper. Plans are still evolving for the Waterbury location, Crowl told Seven Days in an email, but the new spot will offer an abridged menu of prepared foods, such as teriyaki chicken wings, eggplant Parmesan, buttermilk fried chicken and broccoli-cashew salad. The options will be fewer than at the market's sprawling flagship, but enough for visitors to grab lunch or a takeout dinner. Morning commuters will be able to swing by for coffee and baked goods, and grocery displays will incorporate plenty of produce from Pete's Greens and other Vermont farms, as well as local cheeses, meats, beer, wine and pantry items. As for Pete Johnson of Pete's Greens? He's looking forward to getting back into the field. 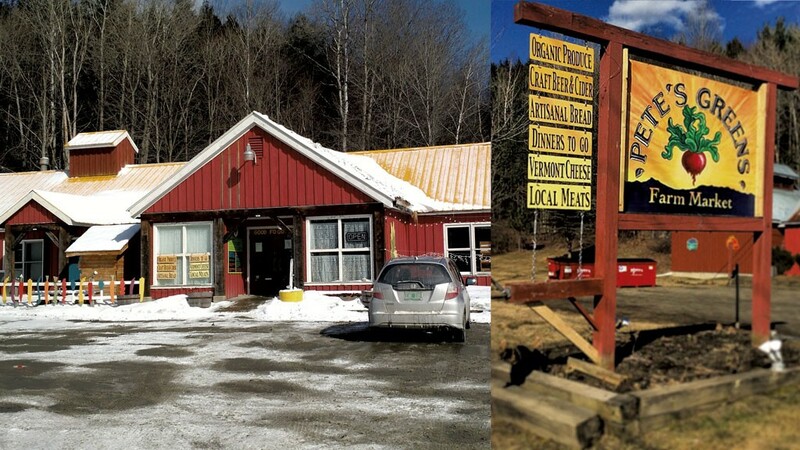 "We're farmers first and foremost," Johnson said in an email to members and friends of his Craftsbury farm's CSA. "Farming is what we love most, what we're best at and where we should be putting our time and resources." Clarification, April 11, 2019: This story has been updated with more specifics on Woodstock Farmers Market's plans for food offerings at its Waterbury location. The original print version of this article was headlined "Sandwich Stop"